Exactly 7 dl wine fit in the decanter. The large surface area makes the wine come together with much oxygen. 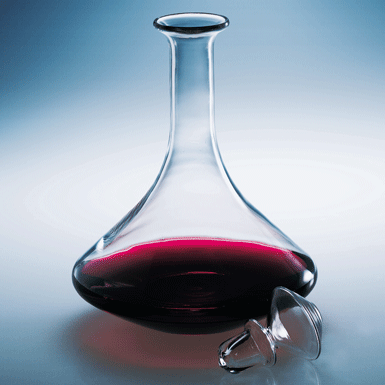 Perhaps the most perfect decanter bottle. (Stopper included, not airtight).